Now that I have your attention, get your mind out of the gutter. 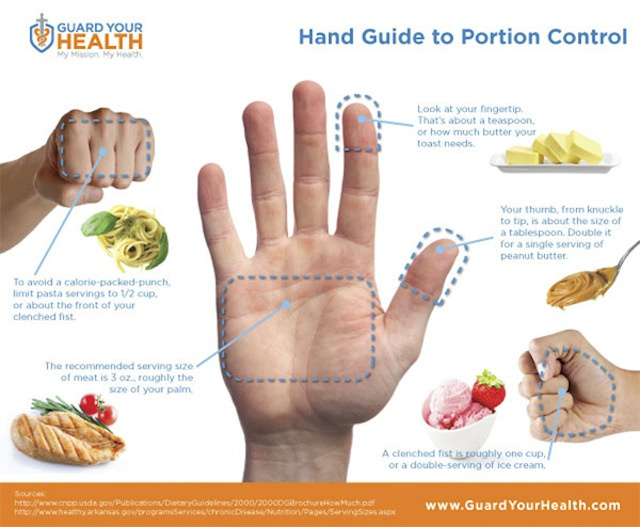 We’re talking about food portion control today. Most of us overeat. We make excuses about how much time it takes to weigh food portions, or how difficult it is to actually know. That’s nonsense. Our body is built to tell us how much to eat. Follow the image above as your basic portion guideline. Sure, there are more accurate ways to control portion but since you’re not doing those, this will do. Love it. Simple, and effective.